As the breadth of Cruise holidays increases, the importance of travel agents in designing a cruise itinerary is becoming increasingly important. Though there is a lot of online information on domestic and international cruise voyages, the share of cruises booked online remains very low, compared to air and hotels. The human touch to a cruise itinerary from an expert is extremely important to cruise bookers, to say the least. If you are a seasoned cruise traveler and know precisely what you need – the voyage line, destination, duration and cabin type – booking your cruise holiday via the Internet can be relatively easy. Most online travel companies have comprehensive search capacities, and additionally pages that rundown their best or the most preferred arrangements. Many likewise offer extra assets, such as, deck arranges, photographs and surveys. A well-ordered process will direct you through the booking and installment methods. And yes, if you are independent, you probably will never land up on this article, even if you have, you should stop here. We know you are the do-it-yourself type and you find planning as much fun as the trip. For the rest, let’s look at the various benefits of consulting a specialist cruise travel agent for a memorable voyage across the seas! Why should you use a specialist? As you are overtly overwhelmed with the idea of the first cruise holiday, deciding how much you are willing to pay, whether to book a cabin or a suite or which cruise line would suit your taste buds – is a tough call! Moreover, if you are a first timer, shore excursions would be something that you should discuss with an expert before you board. Add food, cabin site, insurance and the right medical tips – planning all these meticulously can really be an uphill task. While some of you who have already used the internet to plan tours before, you may not be as confident about booking a cruise holiday online, as it’s a completely different ball game, and even in the age of Internet, booking and planning a tight yet cozy cruise itinerary can be confusing unless you have a travel agent or a cruise specialist sitting on the other side of the table. No, they are not rocket scientists! However, they have the advantage of being on a cruise trip before. They have first-hand knowledge and thus they are proficient while advising the best choices to make. 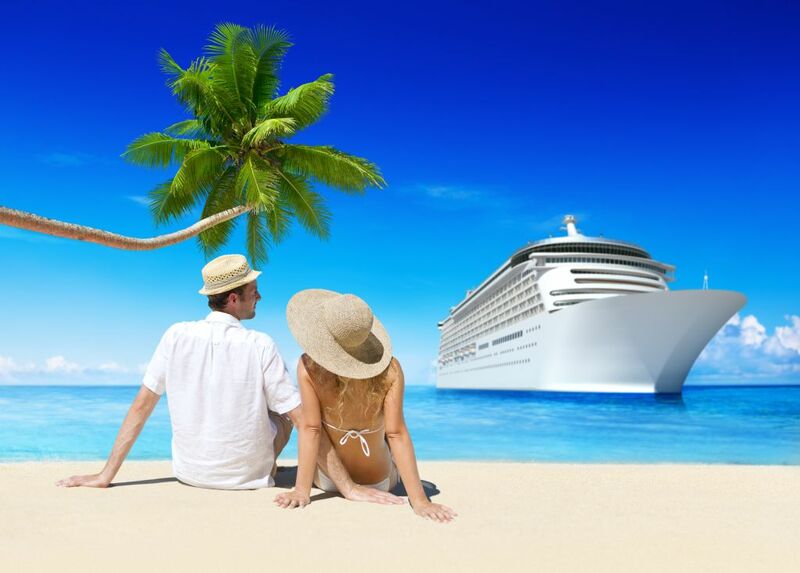 Research, familiarization trips, and seminars on cruises – they have seen the best and the worst. If you have discounts and perks in your mind, some may be able to provide that as well. They get their fair share of commissions, so you need not worry about paying more for their knowledge and ability. Let’s say, you’re accustomed to booking travel freely, consider these reasons why you might need to make use of a travel operator to book your next occasion adrift. Selecting the right Cruise – On your first journey you are bound to look for help in balancing your lifestyle and voyage spending with the cruise you select and its destination. Picking a marine voyage is not the same as picking an inn or flight, as there are many more alternatives that are taken in account. For instance, would you like to journey from American ports such as New York, Miami, Galveston or Seattle, or would you say you will travel to Europe for Mediterranean and Baltic sailings? Would you be more joyful on an extensive ship – for example, Royal Caribbean’s Harmony of the Seas which sails with close to 5,500 travelers on-board or on a more private ship – like Silversea’s 298 travelers – Silver Wind? There are also questions such as do you favor an easygoing and enthusiastic vibe, as is found on Carnival Cruise Lines, or a more formal air, for example, Crystal’s? You should keep in mind that you won’t simply be utilizing the ship as a home base, as you do with an inn; it will be your home, eatery and excitement scene for a week or more. The right ship and schedule can make your get-away way more charming – and the apt cruise agent can help you decide the best choice for your tastes. Likewise, a travel agent can answer any inquiries or any additional worries you may have about your maiden voyage. Great Deals don’t come easy: Contrasting to your preconceived notion, travel specialists may really have the capacity to give you a better value for the money than the Internet retailers or even the cruise lines. The best travel specialists have entry to reduced gathering rates and restrictive journey evaluating that is not discovered any place else. Moreover, travel agents once in a while can offer you additional benefits on your booking, for example, prepaid tips, a free Champagne or locally available credit – to add a cherry on the cake. Good agents will always add value to their services to help your choice of travel agents easier in the future. Also, if the cost of your voyage drops after you book, a great operator will notice and discount you the distinction in toll. A good travel agent will likewise have the capacity and the authorities to push you spend some extra on travel insurance (normally a store at the season of booking and everything 60 to 90 days before you sail). Moreover, the specialist can help you with whatever is left of your touring arrangements, for example, pre or post-voyage stays, visa, airfare, transfers and currencies. Unique Requirements: If you have exceptional necessities of any sort – whether it’s assistance in organizing a wedding service locally available, requesting without gluten or legitimate dinners, or managing availability issues – a qualified operator ought to have the capacity to make the best possible courses of action for you or exhort you on the most proficient method to handle the issue yourself. Building up Relationships: Booking with a travel agent gives your cruise holiday deal an personalized touch – you have an asset for making inquiries and somebody to contact if something turns out badly amid your voyage. Be that as it may, your association with an agent doesn’t tend to end after one excursion. The specialist will keep you in his or her database, caution you to bad arrangements or deals and can even recommend future sailing choices from their list full of ideas.